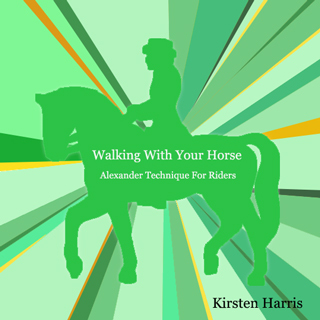 I have used Kirsten’s CD Walking With Your Horse for several years now, and, although I have not listened to it when riding, the approach that it teaches has proved very beneficial to both my riding and my general attitude. Whenever I have found myself in a tricky situation, e.g. when riding a slightly skittish horse across a wide and unfamiliar field accompanied by a fairly inexperience young rider, employing the breathing technique, letting myself down into my saddle and keeping my vision wide and trying to achieve loving eyes enabled both riders and horses to proceed to their destination without any mishap In fact as I engaged my training I felt my horse relax beneath me and a potentially hairy moment passed without my companion being aware that anything could have been amiss. I also have Kirsten’s CDs of “Breathe” and “Body Magic” with which I unravel myself from time to time. 7 Reasons why resting on the floor is Good for You!